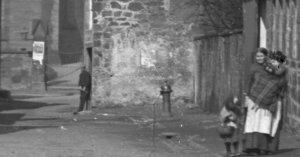 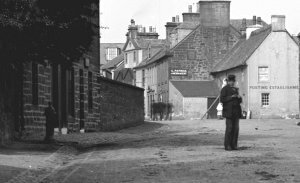 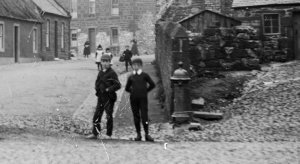 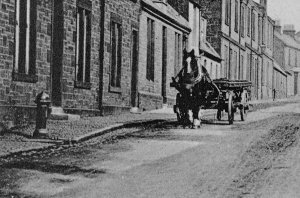 The Coogate, Burngrange Lane, High Street/ Cross, New Road/ Kilmarnock Road, Hamilton Place, Loudoun St west, Loudoun Street middle. 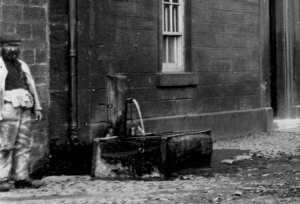 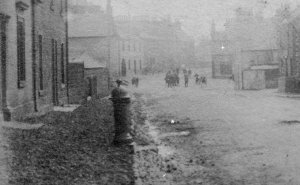 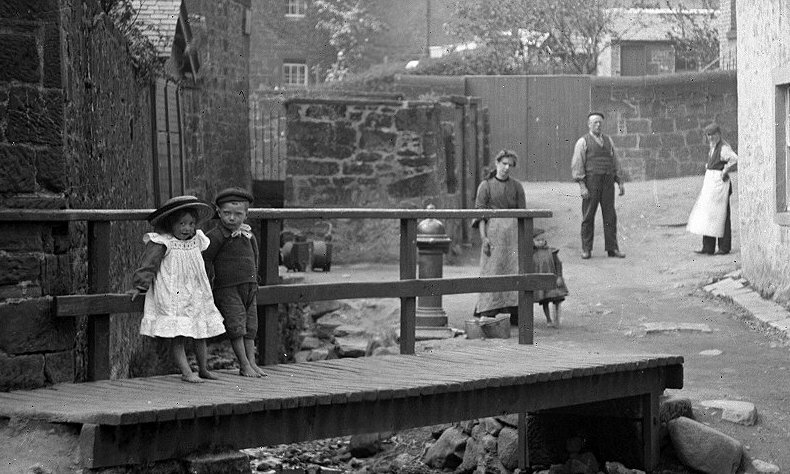 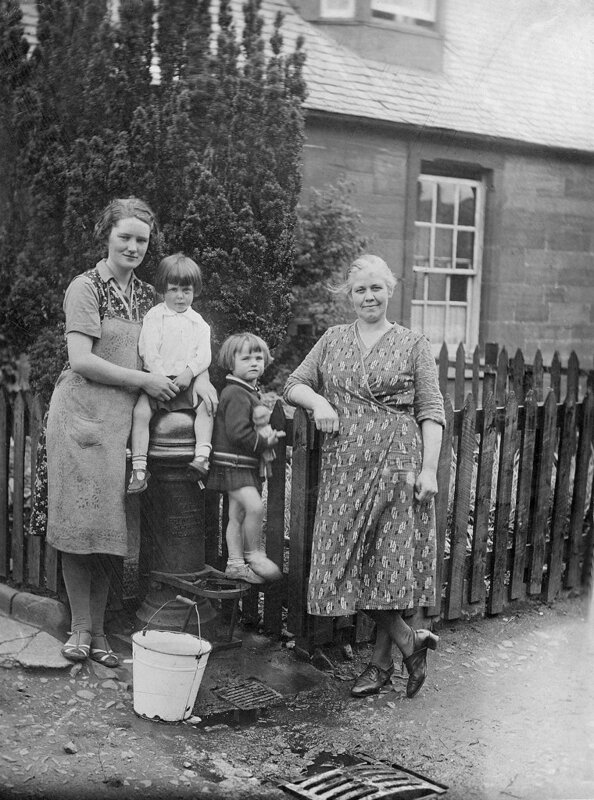 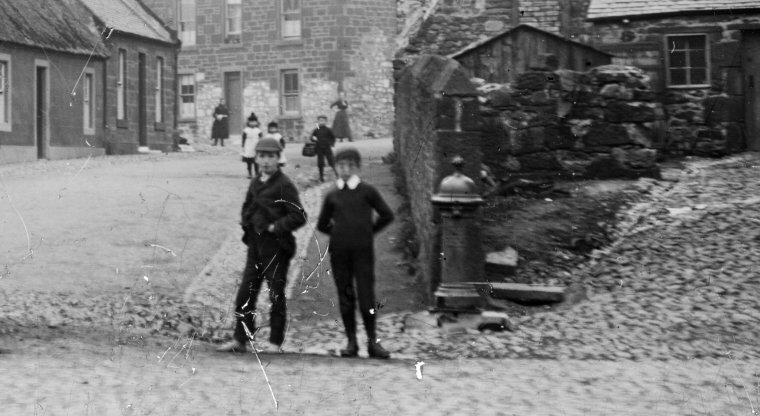 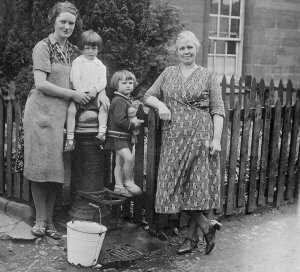 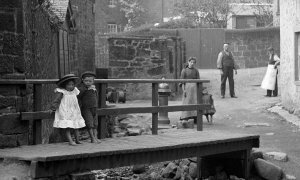 The old water pump at The Coogate, left, and Burngrange Lane, right. The old water pump at The Cross/ High Street, left, and New Road, right. The old water pump at Hamilton Place, left, and New Street/ Loudoun Street, right. 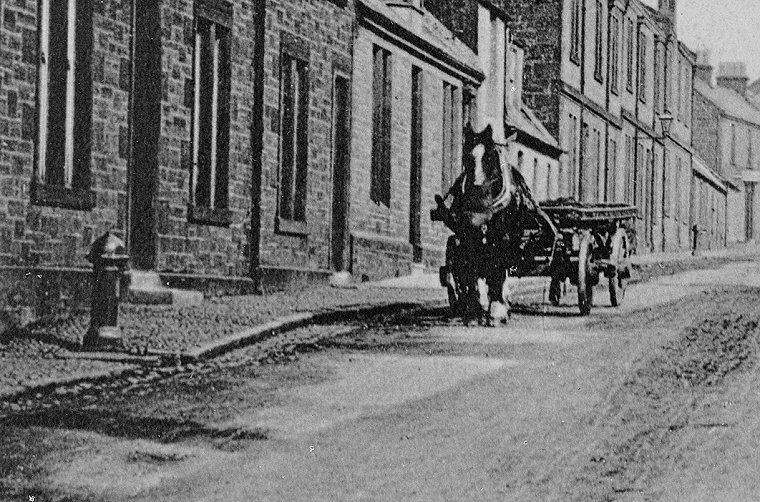 The Loudoun Arms is on the right of the image.